Click to view video on CNN iReport. The community was built around the railroad that passes through town. If you listen closely, you will hear a train in the video. It’s loud even inside the house. I’ve heard the trains going through several times when I would call home to Murdock, no matter where in the world I was located! My father’s family is mainly from Ireland, Scotland and Luxembourg. My mother’s family was from Germany and Prussia. My parented are now buried a short distance from the family house, along with a baby brother, and many of my ancestors that were pioneers in Minnesota. I live in central Minnesota in a farming community my father’s family has been a part of since the late 1800s, a colony of mainly poor Irish Catholics started by the late Archbishop John Ireland. If I remember right, about 2,000 Catholic families were part of the colony in a few settlements in the area. Also, I am related to many of the people in Murdock. Oh, we are all related somehow to the pioneers from the colony. Minnesota was poor in jobs, but rich in land when they arrived. We are still poor in jobs in Minnesota, with about 175,000 still looking for job in the state, and I am one of them. One more thing. If my father’s family did not come for the land in Minnesota, I would be saying, I am Canada! My Irish family first moved to Canada, then to the United States, as did many Irish immigrants. I’m sure we would be very proud to be in Canada. Cheer to Canada! This video was made with the built in camera on my MacBook Air and edited on iMovie. 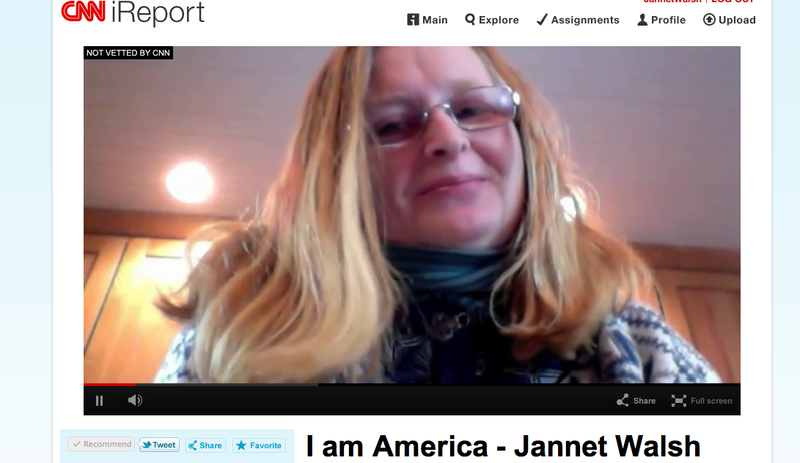 Video – Click to view Clark Howard and iReporters’ Resolution with Jannet Walsh. Go to www.hlntv.com/clark to view more videos from Clark Howard.